Hi candidates, welcome to Amans Maths Blogs (AMB). 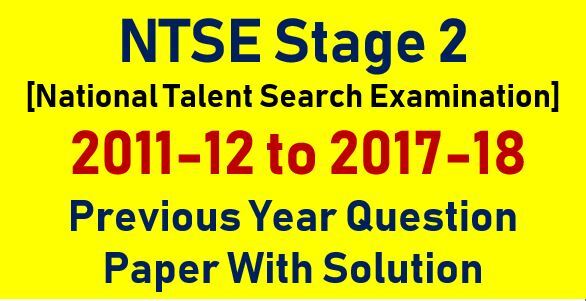 You are on this post means you are looking for the NTSE Stage 2 Previous Year Question Papers with Solutions. It means, you qualified the NTSE 2018-19 Stage 1 Exam, so CONGRATULATIONS to you. You can see your NTSE Result of Stage 1 2018-19 Exam. Previous year question papers for NTSE Stage 2 are a smart step to prepare for NTSE Exams and it is a sure success step to crack this NTSE Stage 2 exam. NTSE Stage 2 Previous Year Question Papers with Solutions given an advantage for the students to understand the NTSE Stage 2 Exam Question paper pattern. These NTSE Stage 2 Previous Year Question Papers with Solutions are the best tools for the revision of the whole syllabus of NTSE Stage 2. By using the NTSE Stage 2 Previous Year Question Papers with Solutions, the candidates can feel of how the actual exam will be. 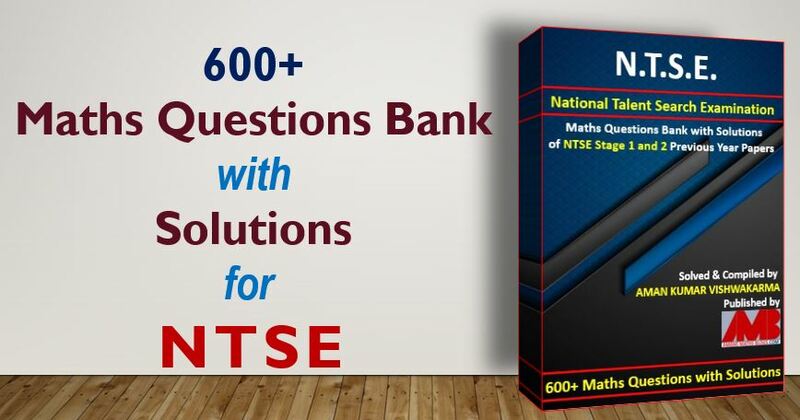 So in this post, you will get the MAT and SAT Question Papers of NTSE Stage 2. From NTSE Stage 2 Previous Year Question Papers with Solutions, the candidates can get a lot of benefits for the exam purpose. The previous year question papers of NTSE Stage 2 help the candidates to get an idea about the nature and exam pattern of the NTSE Stage 2. The candidates also aware the difficulty level of the questions of NTSE Stage 2. By solving the NTSE Stage 2 Previous Year Question Papers, the candidates can build their concentration and stamina to sit for the full time in examination hall on the day of NTSE Stage 2 scheduled. The NTSE Stage 2 Previous Year Question Papers with Solution also help the candidates to know their weak are of the study and improve before the actual exam of NTSE Stage 2. Now, these NTSE Stage 2 Previous Year Question Papers with Solutions can be downloaded as free and save it permanently in your computer or mobile. These solutions of the NTSE Stage 2 are compiled by FIITJEE and AAKASH team, I searched over the internet and the place all in one place in this post. To get the NTSE Stage 1 Previous Year Question Papers With Solutions, Click Here.